Monday evening on the Sac marked the first day I finally found some shad this year. 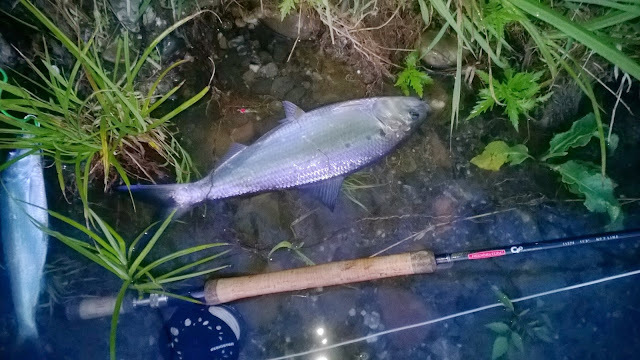 Although I missed more than I caught, I managed to land 3 nice lookin shad on my switch rod before calling it a night. 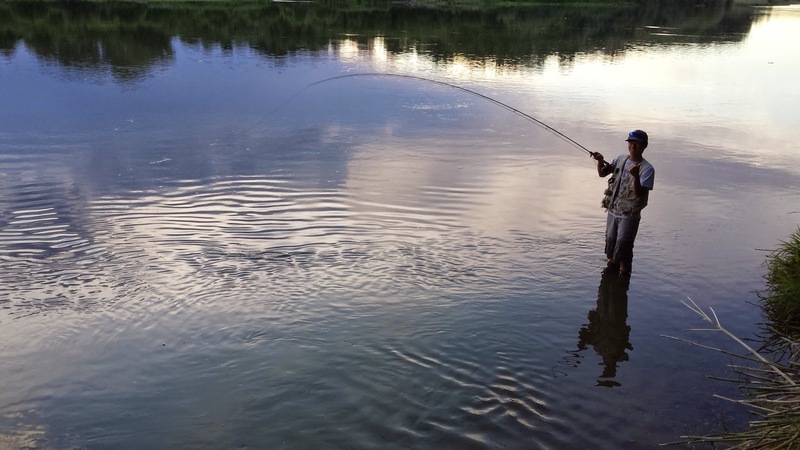 There were a lot of bank anglers combat fishing a distances upstream from the Washout. Luckily, I found a nice spot and pretty much fished the entire evening next to one guy until another showed up. Flies outfished the typical green grub rig. I'll definitely be getting out there more now that they are here. There was one shad I kept for eats. My last and most previous experience of eating shad was basically just eating a bunch of bones. After food processing and frying it up, I was able to make sorta like a breakfast fish patty with no bones. It was pretty good. The taste is similar to catfish but more flaky and fishy. The following evening I went out and gottem again! All quick-release but the take is the only thing that matters. I have yet to catch a shad. i heard theyre fighters! Good job, brotha!